It was the summer of 1942 and things were looking good for Hitler. The Nazis had already swept across Europe; now they were pushing on into Russia, marching toward Stalingrad. The Russians were in trouble. In just the first year of fighting, the Red Army had lost half of their men. And Stalin — a bloodthirsty lunatic of a dictator on his good days — was starting to get a little bit desperate. The city that had been renamed in his honour was teeming with people. 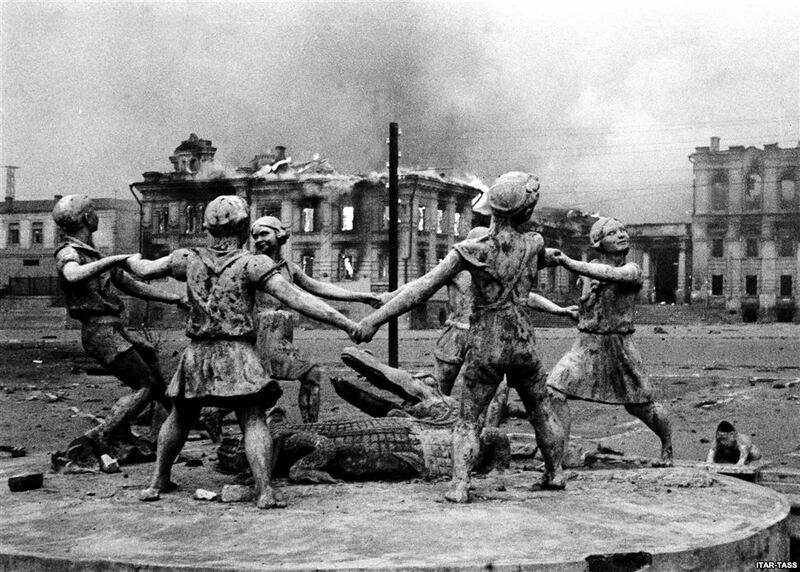 Stalingrad had been a major metropolis before the war; since then, refugees had doubled the population. But as the Germans prepared to attack, Stalin refused to organize an evacuation. While food and supplies were shipped away to safety, the people were left behind. His soldiers, he figured, would fight more passionately to defend a city full of innocent civilians. And in case that wasn't enough, he ordered that any officer found retreating should be tried or shot on the spot — "Not one step back!" — and that anyone who could carry a rifle should fight. And so, men, women and children would all be part of one of the bloodiest battles in history. 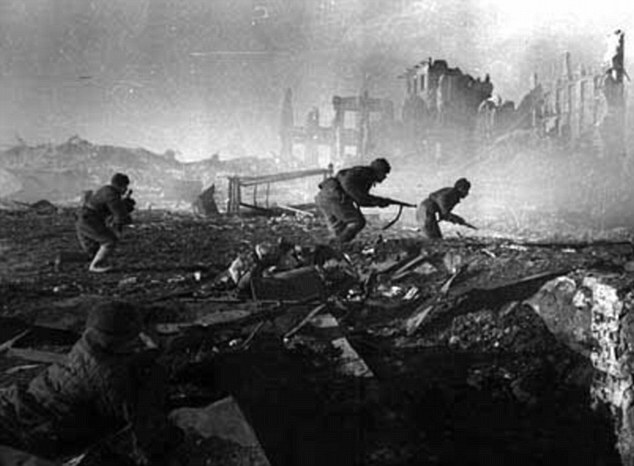 People in Toronto and all over the world watched as Stalingrad was turned into a living hell. The planes of the German Luftwaffe began by dropping more than 1000 tons of bombs, reducing most of the city to a burning pile of rubble. The fighting on the ground that followed was brutal, even by the horrifying standards of the Second World War. "The entire city became an inferno," the Toronto Daily Star reported, "but it put up the fiercest fight in modern warfare. The fight for each building lasted for days, even weeks, at a time. Each room, each floor, constituted a separate front within a front. Every structure became a fortress." As two of the most powerful empires on earth brought their military fury down upon the city, corpses piled up in the streets. Civilians who tried to flee by foot or by ferry were bombed, massacred by the hundreds. Thousands of orphaned children were left on their own in the middle of the destruction; they lived in the rubble for months on end, starving and freezing to death, terrified, and easy targets for snipers. "Under constant bombardment, life went on;" the Star wrote, "the people clung to the ruins of the city, children were fed in the shadows of broken buildings, put to bed in dugouts, nursed in cellars when sick. Children were born in dugouts." The bloodbath raged on for five straight months, through the autumn and on into the harsh Russian winter. 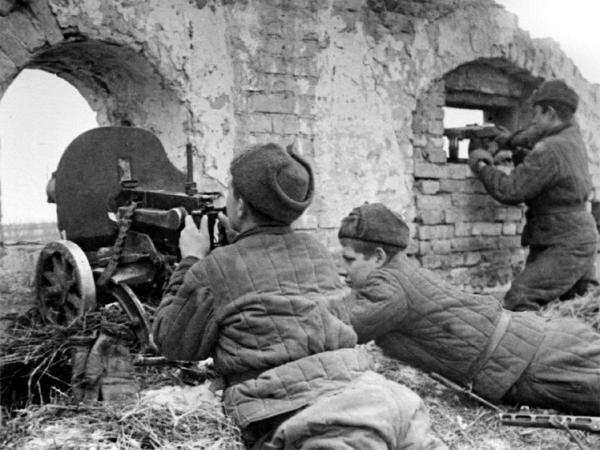 At times, it seemed as if the Nazis were on the verge of winning, but they could never quite kill the last few Soviet soldiers. By February, the tide had turned. 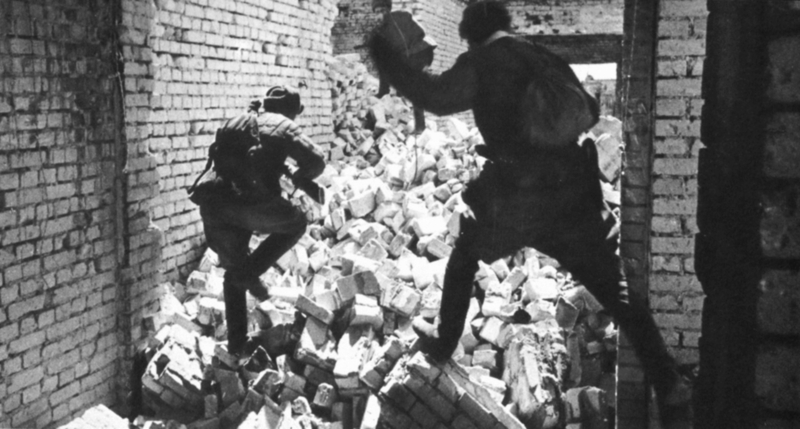 The Red Army retook the city and shifted the momentum of the entire war. Hitler's army was deeply wounded. The Nazis would never again win an important battle on the Eastern Front. And the following year, the Allies would land at Normandy. But victory at Stalingrad took a terrible toll. Nearly two million people had been killed or wounded. Two million. And the suffering wasn't over yet. The city was a smouldering ruin. It would take years to rebuild. 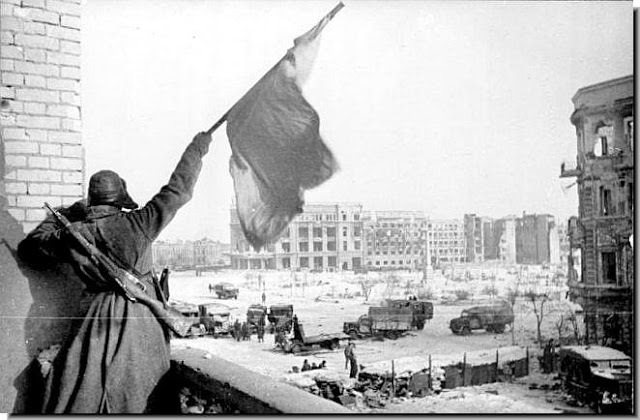 "Stalingrad, city of heroes, still shivers in the icy Russian winter," the Star told its readers in Toronto, half a world away. And there were orphans who needed help, the newspaper reported. "Many of them had been living for months during the siege in holes in the ground, and when they were found they were swollen with hunger and their limbs were frozen." They say 15 million Russian children lost their parents during the war. So Toronto decided to help. Later that same year, Toronto City Council declared "Friendship With Russia Week" and then "Stalingrad Day". They followed that up by officially "adopting" Stalingrad. The next two winters in Toronto would see a massive outpouring of support for the Russians living in that ruined city more than 8,000 kilometers away. 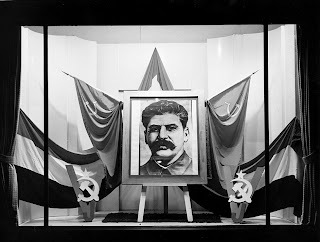 The City of Toronto Stalingrad Committee was created. And a Stalingrad Fund, too. The Mayor, Robert Hood Saunders (the same guy who brought us Elmer the Safety Elephant), was made honourary chairman. "Citizens of Toronto could not support a more worthy cause than the noble people of Stalingrad," he declared. "These people have shown us the way to be real heroes. We must give thanks to the Soviet armies and the brave Russian people who gave us those armies. I sincerely hope that all Toronto will get behind this great cause in the name of humanity." And they did. Millions of dollars were raised in donations. More than 150 different organizations came together to an organize an ambitious clothing drive, going door-to-door to collect whatever spare clothing and knitted goods they could find. They ended up collecting 30 tons of it, which was stored at a depot on Yonge Street and then shipped off to the Soviet Union. Many of the most powerful people in Canada worked hard to improve our relationship with "our gallant allies" in Russia. A National Council for Canadian-Soviet Friendship was founded, with the active support of wealthy businessmen and Premiers and Lieutenant Governors and justices of the Supreme Court. The Prime Minster, William Lyon Mackenzie King, served as Chair. In 1943, thanks in part to the Eaton family and the heir to the Maple Leaf Foods fortune, there was a three-day Congress of Canadian-Soviet Friendship at the swanky Royal York Hotel. In 1944, there was another one. The event ended with a rally at Maple Leaf Gardens and 17,000 people showed up. The Congress was billed as an exchange of information. Torontonians had the chance to learn all about Soviet advances in agriculture and science and education and art. Delegates urged that every university in Canada should start its own Russian Department. 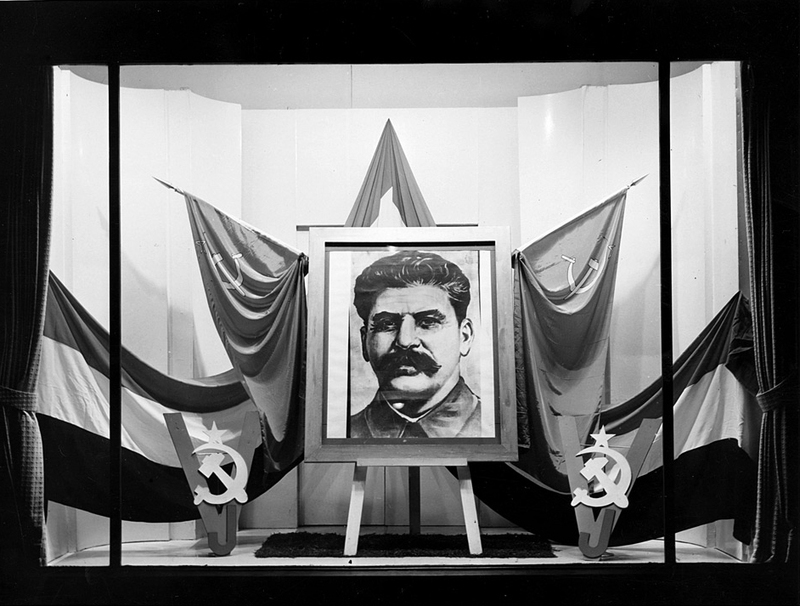 The free-flow and exchange of ideas with the Communists was hailed as a vital part of Canada's future. 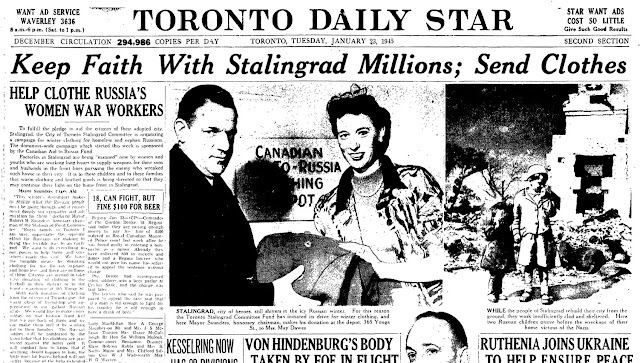 At Maple Leaf Gardens, a representative from the Soviet embassy in Ottawa thanked Torontonians for their support of Stalingrad: "your gifts are cementing the post-war relations of Canada and Russia," she said. Of course, that's not exactly how things turned out. In fact, some of the seeds of the Cold War could already be found at that rally. For one thing, there was still plenty of anti-Communist suspicion in Canada. Being a member of the Canadian Communist Party was still illegal. It had been for most of the 20th century — they had to run candidates as "Labour-Progressives" instead. Back in the 1920s, R.B. Bennett's Conservative government had arrested the party leader and then apparently tried to assassinate him while he was in jail. (I told that story here.) And even now, while Mackenzie King was heading up the Friendship Committee, his government was keeping tabs. The RCMP kept a close eye on the Friendship Congress and the rally at Maple Leaf Gardens, including a detailed assessment in their Monthly Intelligence Report, and taking care to note that 80% of the audience was "of foreign extraction." But they did have some good reasons to be suspicious. Like, say, Colonel Nikolai Zabotin. He was one of the Soviet representatives who attended the Congress. He worked at the embassy in Ottawa. And he was a spy. He had been sent to Canada to collect secrets about the Allied attempts to build a nuclear bomb. And he was getting them. He used his position at the embassy to gain access to the Canadian government, charming officials into spilling the beans. One naive army officer even took him in a canoe down the Ottawa River, where Zabotin snapped photos of the construction of the Chalk River nuclear facility. Most importantly, he had an operative inside the British scientific team trying to build a bomb in Canada — who also slipped him secrets about the Manhattan Project in the United States. It was only a month after the Americans dropped their bombs on Hiroshima and Nagasaki that Zabotin's spy ring was uncovered. Once the information became public, people were shocked. Those old anti-Communist feelings were stirred up once again. Some call the Zabotin episode "the spark that ignited the Cold War." That spark caught fire quickly. Soon, the Communists were testing their own bomb and with Hitler defeated, people were remembering the true brutality of Stalin's regime: The Purges, The Gulag, The Great Famine. 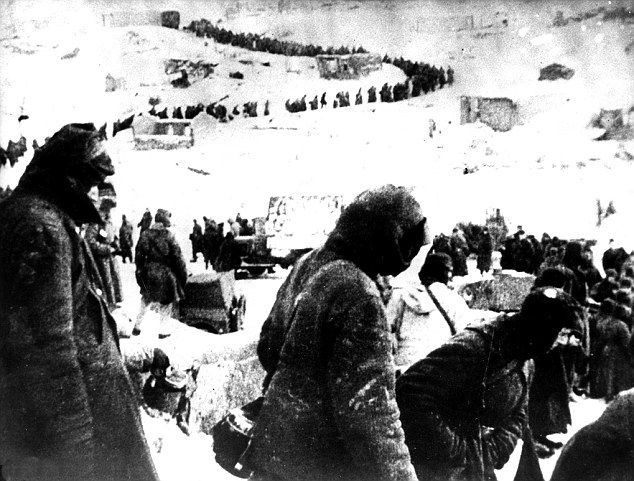 At Stalingrad, the Russians took 110,000 German prisoners. Only 6,000 survived Stalin's camps. In North America, the attitude toward Russia swung hard the other way. And the hatred wasn't reserved just for Stalin and the Soviet leadership, but for every Communist or Communist sympathizer or supposed Communist sympathizer anywhere in the world. Some of the very same experts who had been asked to speak at the Friendship Congress were denounced as radicals and investigated as traitors after the war. At least one of them would be dragged in front of Joseph McCarthy's infamous House Committee on Un-American Activities. Just a few years earlier, the people of Stalingrad were being hailed by Canadian leaders as the saviours of democracy and the free world. Now they and their countrymen were being demonized by those very same leaders as the gravest threat to democracy the world had ever known. And in Toronto, the city that had once adopted Stalingrad, where the people came together to help the Russians who had suffered at the hands of Hitler and of Stalin, the fact that it had ever happened was quickly and conveniently forgotten. I first learned about Toronto having adopted Stalingrad as a fleeting mention in a book I'm reading at the moment: Warrior Nation. It's about Stephen Harper's attempts to remodel Canada as an aggressive military power. You can buy it here or borrow it here. You can read about Toronto adopting Stalingrad in old archived newspaper articles from the Star here, here and here. And from the Ottawa Citizen here and here. The Hiroshima Day Coalition has a timeline of the history of "Making Peace in Toronto" in a PDF here. 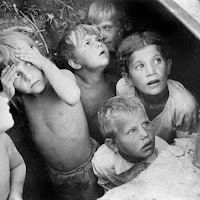 There is an excellent video about the children who lived through the Battle of Stalingrad here. Photo: Children in Stalingrad, 1942.